Make some sunny family memories with a 2017 summer break – and get away from it all. 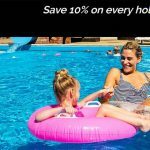 Just click below to claim your early booking discount and save up to £150 with Park Holidays before they put their prices up! 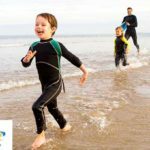 With 25 Caravan Holiday Parks located from Devon to the Suffolk coast, Park Holidays have the reputation for the best and largest provider of Caravan Holiday Parks in the South of England. All their holiday parks are well equipped to make your summer stay trouble free. With on site entertainment for all ages plus activities to keep the little ones happy including their Loopy Kids club. If you’re looking for a holiday that gives you more for your money, you’ll also love their accommodation choice which offers great value for money. 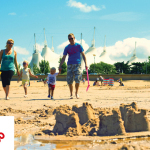 Choose from the very latest holiday caravans, quaint cottages, seaside chalets, spacious lodges and luxury apartments. They’re fully equipped for your stay and can even sleep up to 10 people! So what are you waiting for ! Don’t risk missing out on your perfect Summer school Holiday – book now for big savings of up to £150!